Make your own iPhone Flip Case 7 Case. Super Cute and unique protection with your own design. Quality and Scratch-resistant printing. 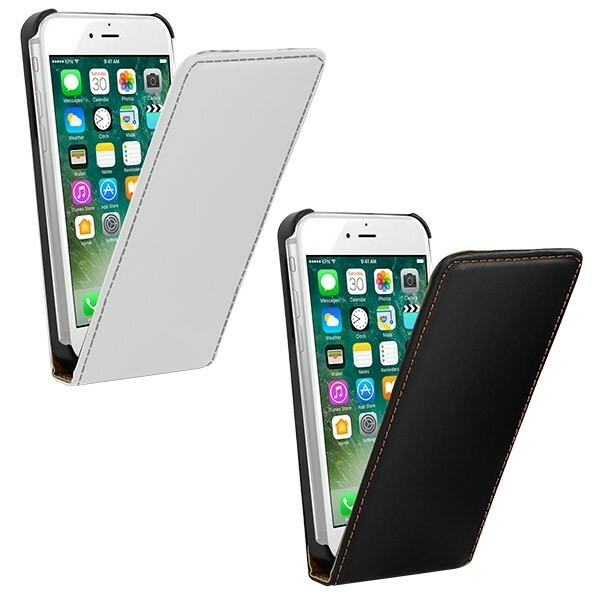 Our flip cases here at GoCustomized are phone covers that can protect your iPhone 7. The case can easily be open and close by the magnet on the top. At the bottom there’s a hole to plug in your headphones. The front and back are black or white leather. There are also two storage compartments for cards. 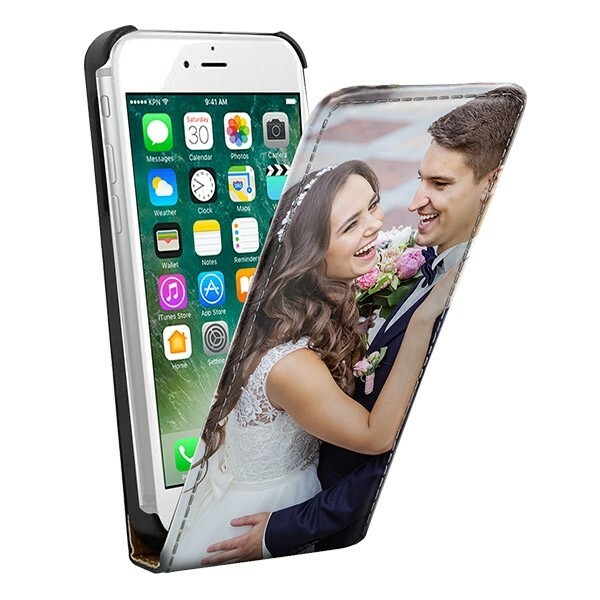 Furthermore, on the front of this iPhone 7 cases you provide your own design. Your image will be printed directly onto the leather with abrasion and scratch resistant ink which the case will remain beautiful for a long time. Designing a case with Gocustomized is not difficult. Adding a photo or cool image is quickly done via the user-friendly customiser. You can personalize this case until it’s exactly what you want! Do you only want protection, and you have no inspiration? That's no problem. Gocustomized also offers you some inspiring designs so that your phone is still unique. You can also add a quote or text to your design. This can be in different colors and fonts, so the case is still personal. Each image can be placed on the case, think of beautiful pictures, initials or your company logo. With the additional features in the draft program of GoCustomized you make sure your design is exactly as you had in mind. At GoCustomized we place great importance to a fast and efficient shipping for each order. No one wants to wait for their order. Therefore, we get to work right away once we have received your order. If you have questions about the product, design or other matters, there is a team ready to assist you further.